April 18, 2011 by Brittany V.
If you have dry skin, it is first and foremost critical that you invest in quality skin care products that will keep your skin hydrated and smooth. Why? Because if you have great skin, then you won’t have to pile on foundation to cover it up. Look for skin care lines that are toxin/paraben free, high-potency and made with premium ingredients (such as Vasseur Skincare). The first step to picking out a good foundation is educating yourself on what ingredients to avoid. Below is a list of pore clogging ingredients that you want to ensure are NOT in your foundation. These ingredients are pore clogging and can cause you to break out (read our post on cosmetic acne to learn more). The next rule to follow when you have dry skin is to select liquid based foundations rather than powder based foundations (such as bare essentials). Powder based foundations cake up around dry areas and dry attention to dry patches and/or peeling. 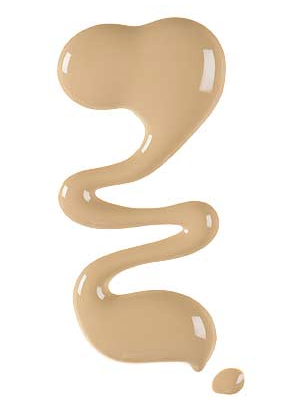 Liquid foundations, by contrast, actually help to provide extra moisture to the area and enhance the look of dry skin. Before applying foundation to dry skin, always begin with a sunscreen and moisturizer to provide a good base (we recommend our Day 25 Cream). Here are my liquid foundation recommendations for dry skin. Youngblood (Liquid Mineral Foundation). Youngblood makes extremely high-quality & non-pore clogging foundation products that provide excellent coverage. I also find that their shades tend to be really natural-looking and blend well. Laura Geller (Phenomenal Foundation). I like Laura Geller’s liquid foundation because it is silicone based and gives the skin a dewey look. Custom Vasseur Foundation. If you are in the San Diego area, we can make you a custom blended liquid foundation at our Day Spa that will match your skin tone exactly and provide great coverage. We can also put our Day 25 or ALA cream in the foundation so your foundation is all you need to use to keep your skin looking great. Tinted Day 25 Cream. If you don’t need heavy coverage, try Vasseur Skincare’s tinted Day 25 cream – this will serve as your foundation, moisturizer and sunscreen and will protect your skin from the elements. For Melanie Vasseur’s recommended dry skin care regime, see our Dry Skin Care Kit. Howdy! This post couldn’t be written any better! Looking through this article reminds me of my previous roommate! He constantly kept talking about this. I most certainly will forward this article to him. Pretty sure he will have a very good read. Thank you for sharing! am no longer sure whether this put up is written by him as nobody else realize such certain approximately my problem. Spot on with this write-up, I truly feel this website needs a great deal more attention. I’ll probably be returning to see more, thanks for the information! I am a man that struggle with acne in my neck area, what cam I do?